Gloria Jean Slipke, 91, a resident of Mundelein, IL, passed away Monday, June 25, 2018 at Condell Medical Center in Libertyville, IL. She was born June 2, 1927 in Chicago, IL to Fred and Angeline Difiore. Gloria is survived by her children Robert (Linda Wegge) Slipke, Gary (Linda) Slipke, and Joyce Farley, her grandchildren Bryan Slipke, Gary Jr., Joseph (Atur), and John Slipke, and Krysten and Michael Farley, her soon to be great-grandson, her sister Lita Toso, her niece Pamela Ullo, and her great-niece Sunnie Ullo. A memorial visitation and Mass is scheduled for Friday, June 29, 2018 from 10:00am until 11:00am with a Mass commencing at 11:00am at St. Mary of Annuciation 22333 W. Erhart Rd. Mundelein, IL 60060. Interment will be held privately. In lieu of flowers, memorials may be made to Committee for Children www.cfchildren.org. All funeral arrangements were entrusted to Strang Funeral Chapel & Crematorium 410 E. Belvidere Rd. Grayslake, IL 60030. For more information on services, call (847) 223-8122 or log onto www.strangfuneral.org. Judith Ann Muhr, age 81, a resident of Grayslake, passed away Saturday, June 23, 2018 at Condell Medical Center in Libertyville. She was born on June 8, 1937 in Chicago, Il to Gladys Langford. She is survived by her children, Alan (Tammy) Muhr of Grayslake and Mark (Robbin) Muhr of Des Plaines; her grandchildren, Brett, Erica, Lauren and Jennifer; her siblings, Elsie Zornek of Grayslake, Barbara Sechrest of Des Plaines and Lynn Martin of Mt. Vernon, WA. She was preceded in death by her husband, William Muhr; 5 brothers, Charles, Harold, Donald, Robert, and Albert; and 1 sister, Evelyn. A visitation and memorial service are scheduled for Wednesday, June 27, 2018 from 6:00 p.m. until 8:00 p.m. with the memorial service at 8:00 p.m. at Strang Funeral Chapel & Crematorium, 410 East Belvidere Road, Grayslake, IL 60030. Interment will be held privately. In lieu of flowers, memorial contributions may be made to the National Emphysema Foundation, 128 East Avenue, Norwalk, CT 06851 or www.emphysemafoundation.org. For information, please call 847-223-8122 or go to www.strangfuneral.org. 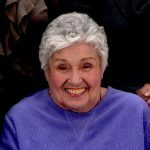 Dorothy Linda Groth died peacefully at her home in Grayslake, IL on Friday, June 22, 2018 at the age of 83. She was born on April 1, 1935 in Chicago, Il to Ted and Lillian Waller. She graduated from Grayslake High School where she met her husband, Charles, and they married on May 29, 1954. Dorothy retired from Grayslake School District 46 in 1996. She was an active member of the Grayslake Historical Society. Dorothy was happiest when surrounded by family, especially grandchildren and great grandchildren. Dorothy is survived by her husband of 64 years, Charles Groth; her children, Terri (Jim) Richardson of Grayslake, Marc (Sue) Groth of Eagle River, WI, John (Chris) Groth of Grayslake, Robbin (Scott Fenters) Groth of Grayslake, Lynn (Joe) Wells of Lake Villa, and Matt Groth of Grayslake; her grandchildren, Sarena Richardson, Tessa Richardson, John Richardson, Chris (Kristen) Groth, Brad (Meaghan) Groth, Erin (Erik Frentz) Gossman, Ana Gossman, Jaime (Brian) Lolmaugh, Jessica Kennedy, Joe (Ashley) Kennedy, Jenna (Stephen) Liles, Lisa (Mike Sinkovec) Wells, Carly Wells and Jordan Groth; her 19 great grandchildren; her sister, Margaret Curtis of Arkansas; and many nieces and nephews. She is preceded in death by her son, Shane Groth; her parents, Ted and Lillian Waller; and her sisters, Mary McGinnis, Kathy Swedo, and Sue Holley. A visitation is scheduled for Tuesday, June 26, 2018 from 4:00 pm until 8:00 pm at Strang Funeral Chapel & Crematorium, 410 E. Belvidere Road, Grayslake, IL 60030. The funeral service will be on Wednesday, June 27, 2018 at 11:00 am, also at the funeral chapel. Interment will follow at Avon Centre Cemetery. In lieu of flowers, memorials may be made to the Grayslake Historical Society. For information, please call 847-223-8122 or go to www.strangfuneral.org. Elizabeth “Betty” A. Franke, 90, a resident of Long Lake since birth, passed away Tuesday, June 19, 2018 at Hillcrest Nursing Home in Round Lake Beach. She was born September 23, 1927 to Albert and Elizabeth Behm. Betty was a member of Trinity Lutheran Church in Long Lake. Betty is survived by her children Marlys (Ken) Nyberg of Hanover Park, Dawn (David) Vogel of Antioch, and Curt (Diane) Franke of Lake Villa, her 9 grandchildren, and her 9 great-grandchildren. She was preceded in death by her parents, her husband Henery Franke, her sons Chet and Chris Franke, her sister Marie Nagel, her brother Albert Behm. A memorial visitation and service is scheduled for Friday, July 13, 2018 from 9:30am to 10:30am with the memorial service commencing at 10:30am at Trinity Lutheran Church 25519 Illinois Rte 134 Ingleside, IL 60041. Interment will be held privately at Skokie Memorial Park in Skokie, IL. Memorials may be made to the Trinity Lutheran Church. All funeral arrangements were entrusted to Strang Funeral Chapel & Crematorium 410 E. Belvidere Rd. Grayslake, IL 60030. For more information on services, call (847) 223-8122 or log onto www.strangfuneral.org. David John MacLagan, 66, a resident of Gurnee, IL passed away Monday, June 18, 2018 at his home. He was born July 21, 1951 in Waukegan, IL to William and Elizabeth MacLagan. David was a veteran of the US Air Force and was a retiree from Abbott Laboratories after 35 years. He enjoyed fishing and was an avid Bears fan. David is survived by his daughter Amanda (Tim) Byrne, his grandchildren Kailyn, Emalee, and Zachary Byrne, his siblings Betsy Bisland, Donald MacLagan, Robert MacLagan, Margaret (Charles) Spriggs, and Jim MacLagan, and his numerous nieces and nephews. He was preceded in death by his parents, his brother William, and his brother-in-law Robert Bisland. A visitation is scheduled for Thursday, June 28, 2018 from 4:00pm until 8:00pm at Strang Funeral Chapel & Crematorium 410 E. Belvidere Rd. Grayslake, IL 60030. The funeral service is scheduled for Friday, June 29, 2018 at 11:00am at the funeral chapel. Interment will be held privately. For more information on services, call (847) 223-8122 or log onto www.strangfuneral.org. Roger Allen Schneider, age 69, a resident of North Chicago, passed away Wednesday, June 6, 2018 at his home. He was born March 31, 1949 in Waukegan to William and June Schneider. He graduated from Round Lake High School in 1967 and was an U.S. Army veteran. Roger is survived by his brothers, David (Doris) and Donald (Karlene); nieces and nephews, Wayne Schneider, Kurt (Irina) Schneider, Karen Weipert, Susan (Bob) Staupe, Donald Schneider, Jr., and Douglas Schneider. He was preceded in death by wife, Kathleen; his parents and his brother, Larry. Interment will be held privately at Abraham Lincoln National Cemetery in Elwood, IL. Arrangements were entrusted to Strang Funeral Chapel & Crematorium, 410 E. Belvidere Road, Grayslake, IL 60030. For information, please call 847-223-8122 or go to www.strangfuneral.org. Brett M. Beckett, 52, a resident of Antioch, passed away Saturday, June 9, 2018. He was born November 28, 1965 in Waukegan to William and Christina Beckett. Brett was a graduate of Round Lake High School in 1983. Brett is survived by his daughter Kylee Beckett, his dad William (Toni) Beckett, his girlfriend Donna Fruzyna, his brothers William (Tiffany) Beckett and Darren (Jennifer) Beckett, his nieces and nephews William Jr., Courtney, Riley, Morgan, Gavin, and Jackson. He was preceded in death by his mom Christina, and his uncles John and Clarence. A visitation is scheduled for Saturday, June 16, 2018 from 12:00pm until 3:00pm at Strang Funeral Chapel & Crematorium 410 E. Belvidere Rd. Grayslake, IL 60030. Interment will be held privately. In lieu of flowers, memorials may be made to a college fund for Kylee at https://www.gofundme.com/kylee039s-college-fund. For more information on services, call (847) 223-8122 or log onto www.strangfuneral.org. Donald “Don” D. Steffen Sr., 74, a lifelong resident of Grayslake, IL, passed away Monday, June 11, 2018, at Advocate Condell Medical Center in Libertyville, IL. He was born February 17, 1944 in Chicago, IL to Michael and Pearl Steffen. Don was a graduate of Grayslake Community High School in 1962 and was a member of St. Gilbert Catholic Church. Don worked in the industrial oil and lubricant industry and was dedicated to helping customers by understanding their needs and building long lasting relationships. His highest priority was to family, evidenced by his choice to volunteer on the Grayslake District 46 school board and serve as president for 11 years. He tried to make a positive impact for his and all children in the district. He loved building wonderful play structures (out of wood, cardboard, or snow) and creating fantastic Christmas decorations. Don’s greatest joy came from his children and grandchildren. Don is survived by his wife of 55 years, Patricia “Pat”, his children Amy (Michael) Vagnoni, Don Steffen Jr., and Sarah (Ken) Clark, and his grandchildren John, Ryan, Danny, and Mary Vagnoni, and Sami and Madelaine Steffen. He was preceded in death by his parents and his mother-in-law Mary Fish. A visitation is scheduled for Monday, June 25, 2018 from 4:00pm until 8:00pm at Strang Funeral Chapel & Crematorium 410 E. Belvidere Rd. Grayslake, IL 60030. A memorial mass is scheduled for Tuesday, June 26, 2018 at 10:00am at St. Gilbert Catholic Church 301 E. Belvidere Rd. Grayslake, IL 60030. Interment will be held privately. In lieu of flowers, memorials may be made to American Cancer Society. For more information on services, call (847) 223-8122 or log onto www.strangfuneral.org. 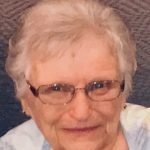 Doris Jean Gillespie, age 87, of Grayslake passed away Thursday, June 7, 2018 at Holy Family Medical Center. She was born on February 5, 1931 in Chicago to Frank and Edna (Kohler) Rath. Doris was a member of St. Paul the Apostle Catholic Church in Gurnee. Doris is survived by her daughter, Debra (Scott) Becker of Grayslake; grandchildren, Robert D. (Daisy Segura) Hall, Jr and Jennifer Becker of Grayslake; great-grandchildren, Robert D. Hall III and Kattleya Camela Hall. She was preceded in death by her husband, James A. Gillespie.